Clouds in Sarek National park, Northern Sweden. It was very windy and clouds formed into kind of dynamic aerial whirpools. 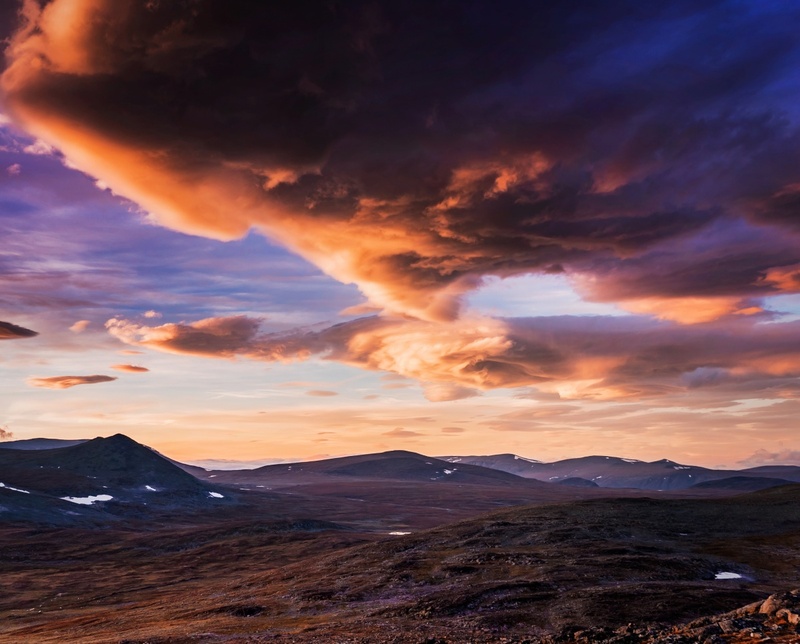 Sarek is one of the oldest national parks in Europe and it has almost 200 over 1800m peaks. Really beatiful area and very few people if you leave Aktse area which is the closest settlement to nearest parking lot. Tip: You need good gear to go there because weather can vary very rapidly and mobile phones do not work. Also watch out for outragerous lemmings. They will eat your through you tent walls in search of food in night time.